I'm a big cat. I'm a strong cat. I'm not a scaredy-cat . 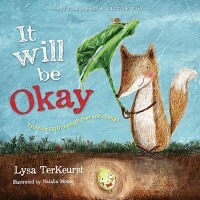 . . except when . . .From New York Times bestselling author Max Lucado comes I'm Not a Scaredy-Cat, a hilarious new picture book to help kids manage their fears and worries and learn to trust God.Follow a silly series of misadventures as scaredy-cat faces his worst fears: an appalling abundance of (gulp!) 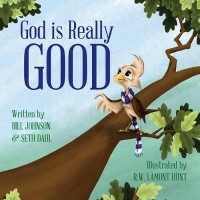 yellow and pink sprinkles on his donut, an elephant on the verge of a ginormous sneeze, and the terrifyingly loud chime of a clock. 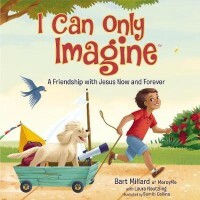 For each of the fears, Max provides this reassuring child's version of Philippians 4:6-9:"God, you are good.God, you are near.God, you are here!And, God, you love me. 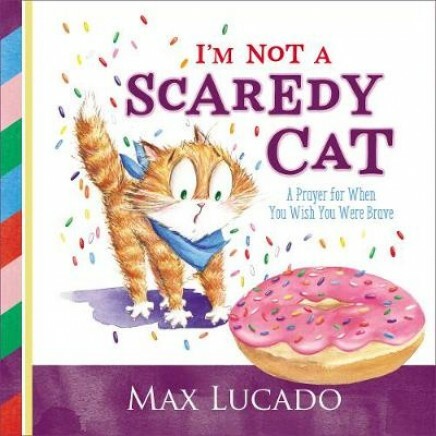 "A fun read for children and parents, I'm Not a Scaredy-Cat will open doors for important conversations about fear in a nonthreatening way and help you instill godly bravery in your kids.